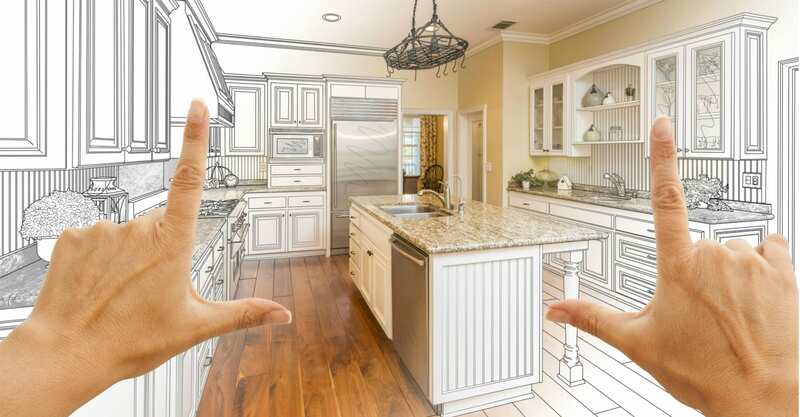 Creating a plan for a kitchen remodel can be stressful and overwhelming. Aside from figuring out exactly how you want your space to look, working around a budget, you must also make a lot of selections to create your masterpiece. For a lot of people, this is a pleasure. For others, however, it’s no walk in the park. An updated kitchen adds more value to your home. In fact, a significant part of kitchen remodeling costs will be recovered by the value the project brings to your property. In terms of the average cost of a remodel, a major kitchen renovation—in our region—recovers an estimated 59.2% of the initial project cost when sold within a year. Returns improve over time, according to a study conducted by the National Association of Realtors in 2018. Learn More about How Much a Kitchen Remodel Costs Here! Start with a basic idea of what you want to accomplish. This doesn’t usually include specific details such as color and style, but more of a general, overall vision of what you would rather have. For instance, more space to resolve layout conflicts or make way for new appliances. Or more kitchen counters, to better accommodate your style of cooking. Try to come up with three primary goals you’d like to accomplish with a new kitchen, and then make sure you know exactly why you want to accomplish them. For many of us, our wish list is larger than our budget. It’s important to remember that remodeling is an extensive—and expensive—project. Be prepared to adjust your scope of work to match your budget. One of the advantages of working with a design-build firm rather than an architect and separate contractor is that a design-build firm has firsthand construction knowledge and cost data to help guide the budget process. Architects are prone to overlook necessary steps in the construction process, and the cost tables they use are based on industry averages that do not take into account crucial information such as material durability and finishes. We recommend setting aside at least 15% of your budget in case there are unexpected problems. This is another advantage of using a design-build firm. Having deep building science and field experience on hand during design helps anticipate and account for possible surprises. Our average cost of hiding surprises is far lower than 15%, but we want our clients to be ready for the worst-case scenarios. 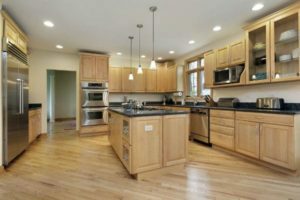 A kitchen remodel can be stressful, especially since there will be a lot of renovating, reconstructing, and possible minor demolitions going on. This can prove to be an inconvenience for your family. We recommend discussing this with your family and deciding on a place for your temporary kitchen/dining area while the project is ongoing. Some may prefer to eat out during that time, but this could prove to be quite costly. You can always set up even a minimal kitchen for making coffee and small meals during this time. Take time to explore your options (i.e. personal loans, refinancing, home equity loans, etc.) for paying the renovation. Be sure to know when the funds will be available as well. You’ll need to know when you can get a hold of those funds to pay for the project. Some forms of lending will not allow the project to start until the loan is secured. Kitchen remodels are inevitably disruptive, but the end result is always worth it. A few weeks after the project is done, and you’ll have forgotten all about the inconvenience. However, from then until the next big project or move, you’ll walk into your kitchen and appreciate the upgrade in quality of life.